D.A.H.-BELT HOLSTER [D.A.H.] - $84.30 : Don Hume Leathergoods, Simply the Best! SMALL OF THE BACK OR STRONG SIDE. 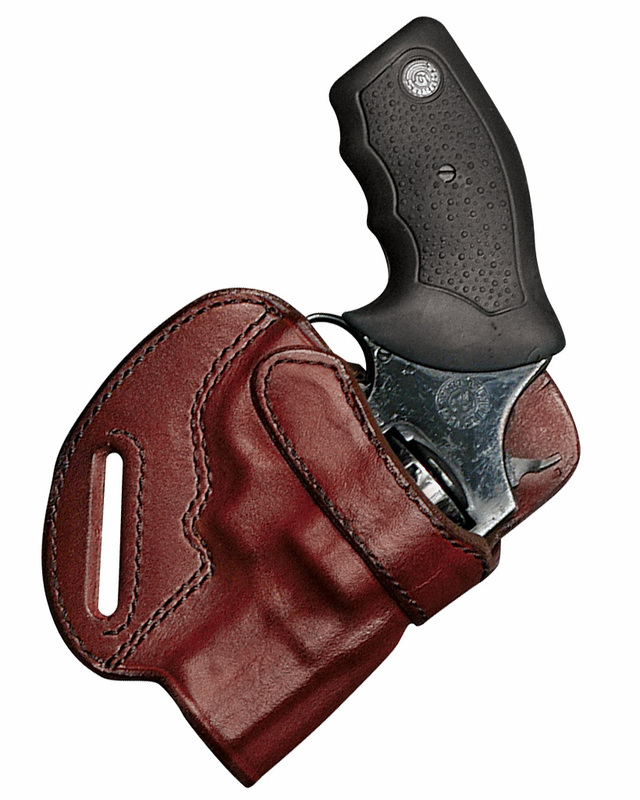 This holster is form molded to a snug fit, compact, easy to conceal. The belt loop design will permit the holster to be worn small of back or strong side. Also features a bodyshield to provide comfort between the weapon and the user. I carry my Charter Arms Southpaw .38 in this holster. It is a perfect fit and hides well under a shirt, whether worn strong side or at the small of the back. This is the best holster I've ever used, from its beautiful craftsmanship to its outstanding retention/draw rate. It has made me a return customer for my next holster.